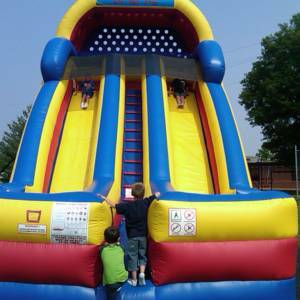 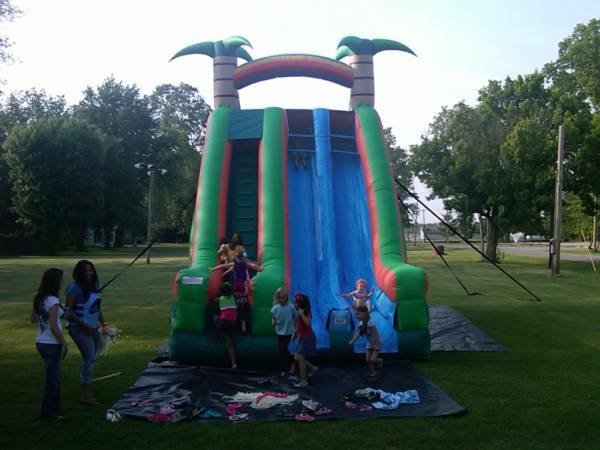 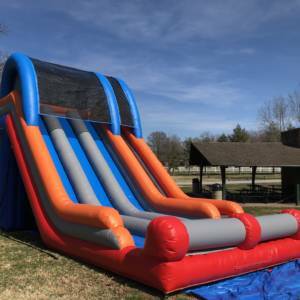 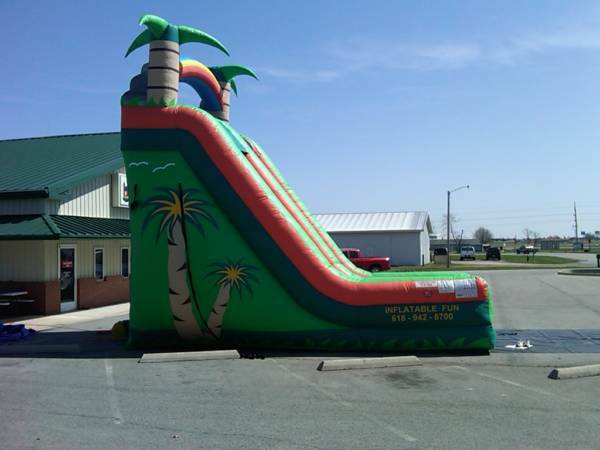 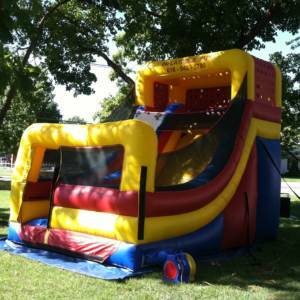 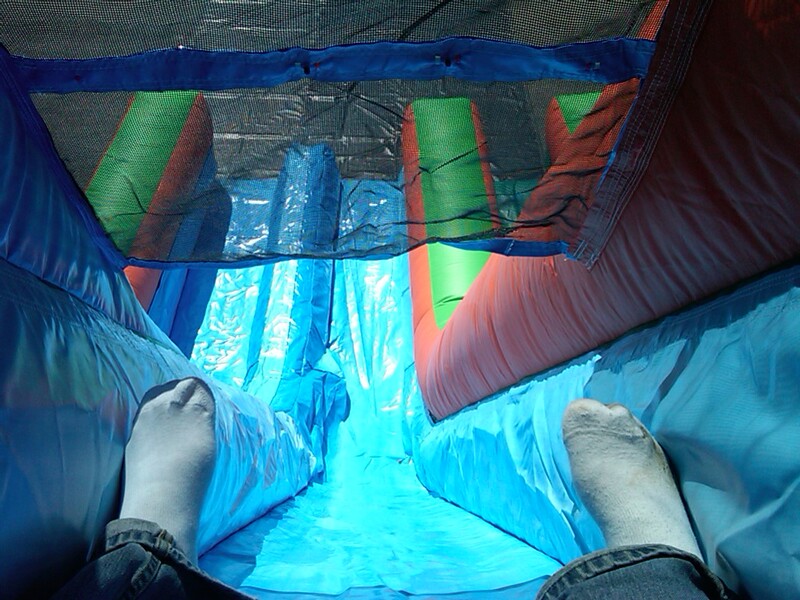 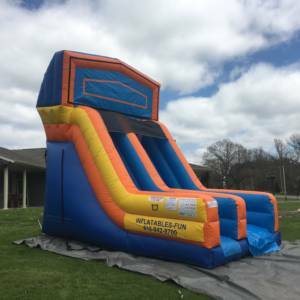 22’ TROPICAL SLIDE This tropical themed, dual-lane slide is the tallest in our inventory. It’s a steep drop from the top of this beautifully designed, palm tree, rainbow, and waterfall decorated unit. 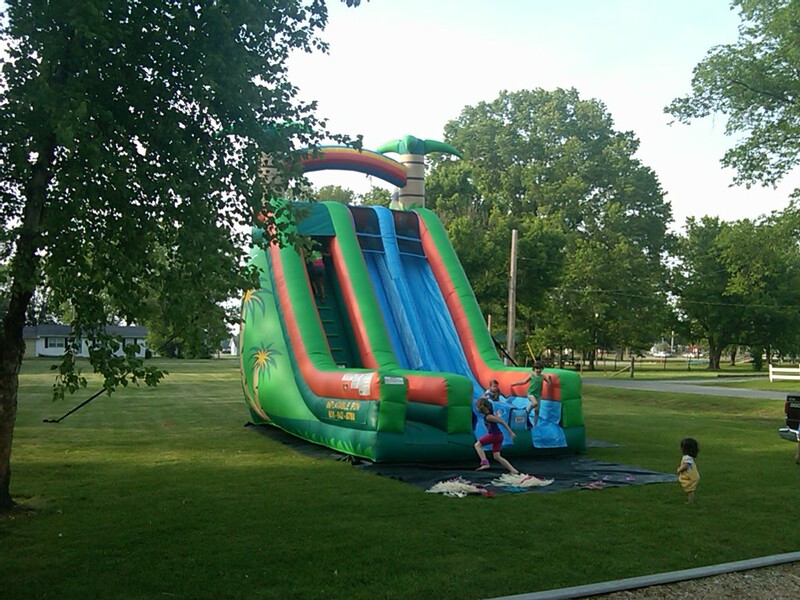 If you’re putting it indoors, check your ceiling height. 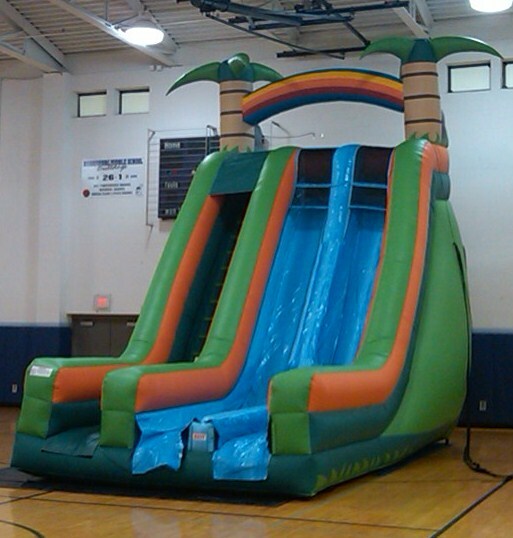 These palm trees have dodged rafters and light fixtures in many churches and school gyms around southern Illinois.